2015 was, notably, the first full one for me following my five-year stint as caregiver for my mother. Most of us have remarked, at one time or another, "If I had my life to live over again…" During the five years, I foresaw that I would indeed have that chance and thought much about what I would do. I set three pursuits for myself: to spend time with my piano, to pick up on my three-dimensional art work, and to exercise my body. These I have done, faithfully and with much satisfaction, with the reservation that the art work has spent the most time on oil painting, a new pursuit that seems to fit me well. Despite trying a few different things, I have not managed to figure out a regular way of sharing my artistic interests with others, which I will work on further in the coming year. 2015 was also the year in which I completed the last of the major renovation work on my house and outbuildings. There are still relatively minor things to be completed, but these will be occasional spare-time recreation rather than a major preoccupation. This Web site started as a way for me to share with people who were geographically removed. My life is an open book in it, except when it crosses the lives of others in ways that they might not wish to be so publicly shared. As it approaches its second year, it has accumulated a lot of clutter. Going forward, I will trim older accretions, little by little, pruning in the direction of things that are of continuing or recent interest. In 2015, I fixed plans for my retirement – but that will be a topic for the coming year. Around me, it is a time of peace and good will. Yesterday, the temperature reached 70°, a record, today 65°. There were prints of bare feet in the sands of the dunes when I visited Crane Beach early this morning. I had been vaguely intending to put on the CDs of Bach's Christmas Oratorio today. Curiously, I became familiar with this joyful and signal – but infrequently played – work only during the nursing home days of my mother's existence. The contrast of the moods, I think, really made it sink in. As it happens, it has come on the radio twice today, in different versions and recordings. It is wonderful to hear Christmas in so many different lights. I hope that you may experience this time, and those coming, though your own kaleidoscope of joy. I have a very large collection of family photographs. They run back to great-grandparents on my mother's side, with her mother being an early shutterbug. Moved I suspect in part by holiday spirit, I have made prints and framed a couple of the collection. 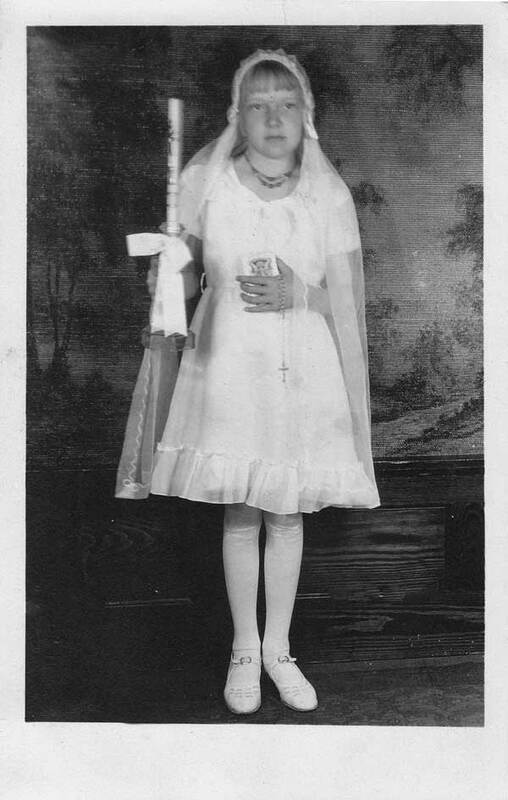 One, taken by my grandmother when my mother was about a year old or so, is labelled "Mother's little helper." 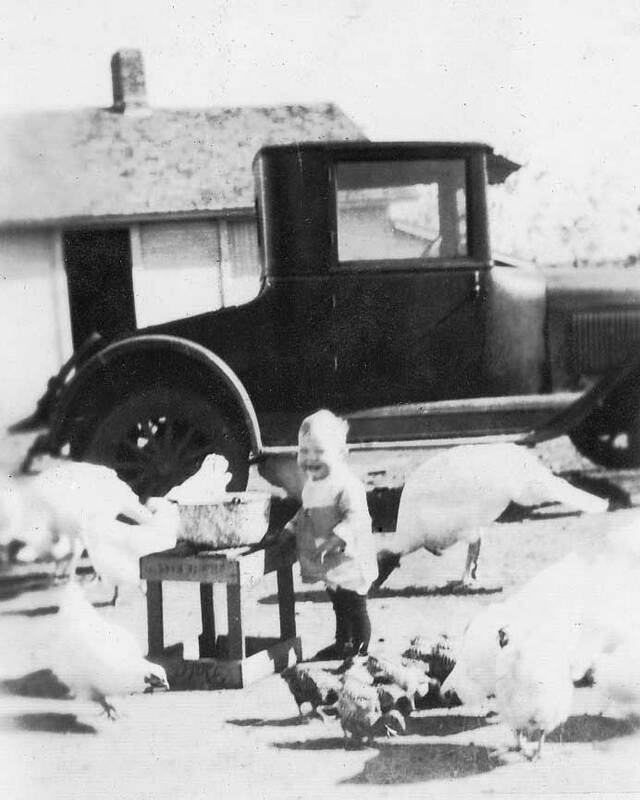 It shows her in the yard in front of the washhouse with fowl and the car of that time, which I believe was a Model T. She is not much bigger than some of the birds around her. All of the species are coexisting peacefully. Even in those very early days, her appearance was marked by features that would characterize her throughout her life: big, round cheeks and a happy smile. 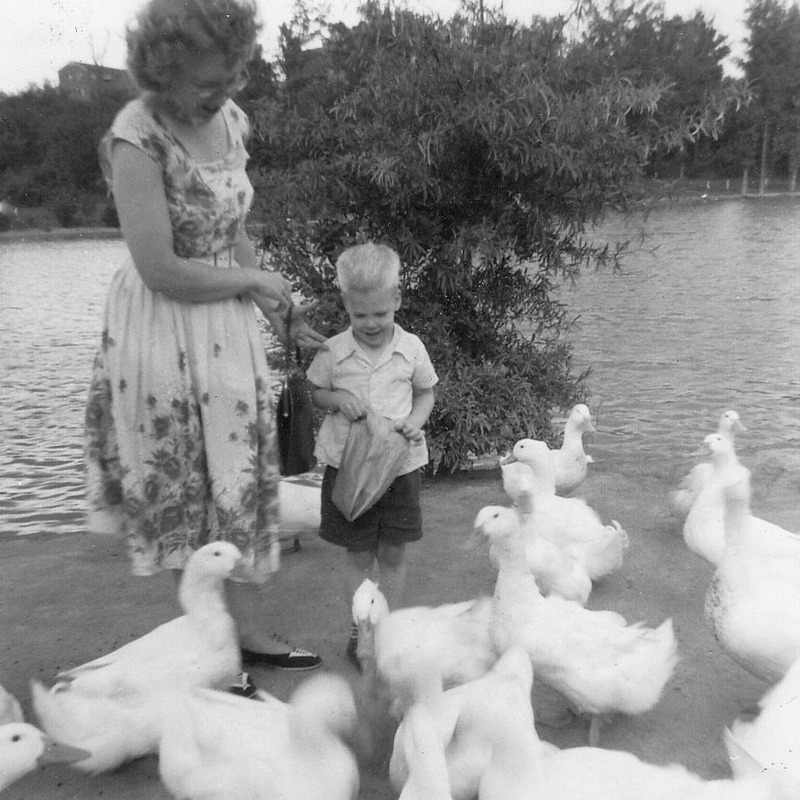 The second picture I selected was taken in Rock Creek Park, Maryland, of my young brother and my mother feeding the ducks, which I remember well. It is one of the few unposed childhood photographs of him. He looks very happy. Indeed, it was a happy and uncomplicated period for the family. For whatever reasons, this picture evokes to me my brother's premature death. Perhaps the end of a life recalls its beginning, and its miseries its times of content. It was one of the few redeeming facets of my mother's deepening dementia that by that time she had no idea that she had children. She would have been devastated if she were able to comprehend. You can see the closeness in the picture. It was one of the very difficult choices in my life when I went to attend the memorial service for my brother at a time when my mother's health mental and physical health were declining precipitously. On my father's side, there is no comparable collection to draw from. I have a single studio baby picture of him, a very contrived affair, which (understandably) he didn't like at all. 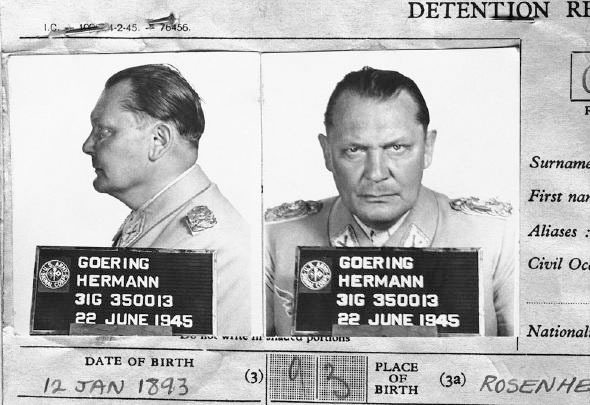 There are no other photographs from his childhood, of him or of his family. There is fairly continuous coverage of my parents' lives from their marriage on, with a notable gap in their Shorewood, Wisconsin years, in the 1960's and 1970's. My yard area was, within memory of one of the neighbors, farmland where cattle grazed. For some decades after that, it was a place where vegetation grew wild, and owners and neighbors disposed of trash. I've been working little by little clearing it of invasive species, old ironwork and car batteries, and rocks. The ground underneath is sometimes incredibly rich loam, sometimes sand that supports only vegetation that can withstand extended dry spells. Most of it is crossed by dense roots and interspersed with stumps. Digging it up is a matter first of coarse work with a pickaxe, then slicing up root balls with a shovel, and in a third stage loosening up the soil with a pitchfork, working in organic material where the soil is very sandy. I have found it useful to drive over the worked ground with the lawn tractor, which breaks up sticks and roots. It is encouraging to see the increasing number of earthworms in the process, even at this late season. In the past months, I've set the field of clearing at 25 feet from the property lines, then 20, now 15. This last threshold will be a lot of work to complete, I can see. We've had temperatures below freezing for the last couple of nights. It's a bit early for such things. Still, the growing season had already pretty much ended with the long dry spell we've had, and the leaves are just turning brown and falling off the trees, rather than displaying colors. 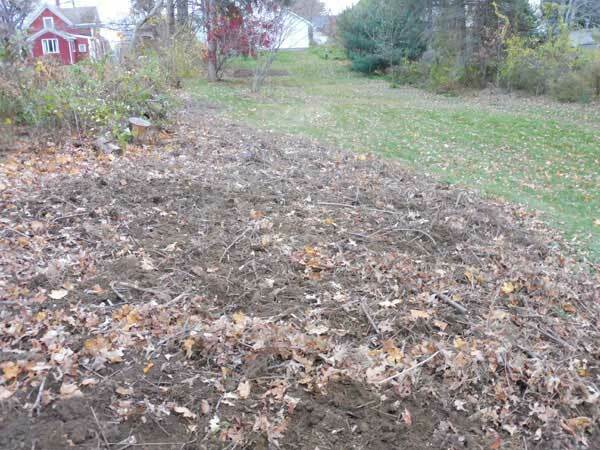 The freeze does have the benefit of halting the undesired growth of weeds for the season, allowing the work of cleanup to begin. I am expecting to retire from full-time work about a year from now. I am fortunate in that I have more than enough interests in my life and no particular financial worries. I have been moving my life at a very deliberate pace over the last couple of years. My mother's death ended the thirty hours a week I was spending on her care, and this summer's work ended the ten hours a week I have dedicated to my house renovations for fifteen years. So, my plan has been to absorb the forty hours for these activities before taking on the forty hours dedicated to my career. It's interesting looking for information about retirement. The vast amount of talk is about money. Well, money enables security in some important and very real senses, but it doesn't obviate the questions that arise with aging. From watching and talking with people who have retired, and reading research, I identify a few common non-financial themes. These include having structured events in time and contact with one's fellow creatures, which both feel intuitive and unremarkable to me. Another recurring concern is the person's giving back something to the community, which has been a big focus of my thoughts. I have been working over the last decades at hospitals precisely for that reason. The feeling of making a difference is not just something for retirees, but a fundamental concern of the human condition. One possibility that I am considering involves volunteer time for end of life care, perhaps with a hospice agency. My experience with this phase of life, from personal and professional perspectives, is unusually deep. Another possibility is attention to the homeless, specifics to be considered. My biggest planned house project this summer was to complete my garage, which I framed and roofed last year. It is done, with the last clapboard in place. I even managed to get around to painting it this summer, earlier than I'd planned. 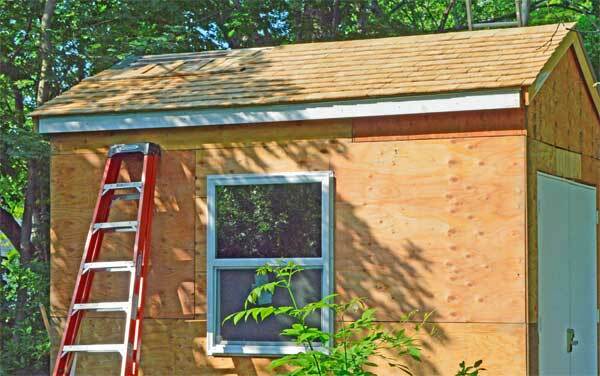 Cedar siding is a classical material for building exterior finish, especially in the Northeast. The underlying house wrap is so tight that the siding is more a matter of decoration or taste than function. I think there would be huge opportunity for plastic finishes, except that people are very conservative about how their houses look. If they use a durable material such as vinyl, they are careful to make it look like wood. That's too bad. It would be a great opportunity for imagination. My mother died a year ago today. The wonderfully alert, joyful person I knew for all of my life died five years before that. If there is a Heaven, she is there. The last two decades of my life have taught me to recognize and accept that there is a cycle to our existence. Birth and procreation and death are parts of that cycle. To deny the cycle or to refuse to accept that death is part of life avails nought, and creates agony where none is needed, as Montaigne recognized well, though he was also capable of feeling the loss of a friend most keenly. As the fates would have it, my commuter rail train pulled into Beverly Depot at exactly 3:58 p.m. this afternoon. There, the train died. I enjoy family history as a continuing hunt for buried treasure that brings me in touch with others who share the interest, for some specific person or for the process of solving the mysteries. I've been successful in tracking back my ancestors for seven generations, back to about the time of the Revolutionary War. The hardest branch, bar none, has been the Lloyds, my paternal grandmother's forefathers. It is quite clear that there was a clan of Lloyd shoemakers in early Philadelphia, and that those shoemakers are related to a clan of Lloyd shoemakers in Birmingham, England. The specifics have been elusive despite countless hours' work by me and others, dating back at least to 1981. Today I found a most recalcitrant link. Joseph Lloyd, who was father of Henry Lloyd, who was father of Howard Wayne Lloyd, who was father of Esther Lloyd, who was my father's mother – was the son of Thomas Lloyd and Catharina Uplinger. I had been incorrect in suspecting that Joseph was the son of Thomas's brother William Henry, but correct in suspecting that he was the brother of Samuel Lloyd, the one clear link between family oral history of Minersville origins and identifiable documentation, and correct in believing that Joseph was the son of one of the Lloyd cordwainer brothers. The trail back is to Quaker origins in Birmingham. I am not sure yet about participation in the Friends Meetings of Philadelphia. I will update the family history page soon with the recent information, probably two or three weeks from now. 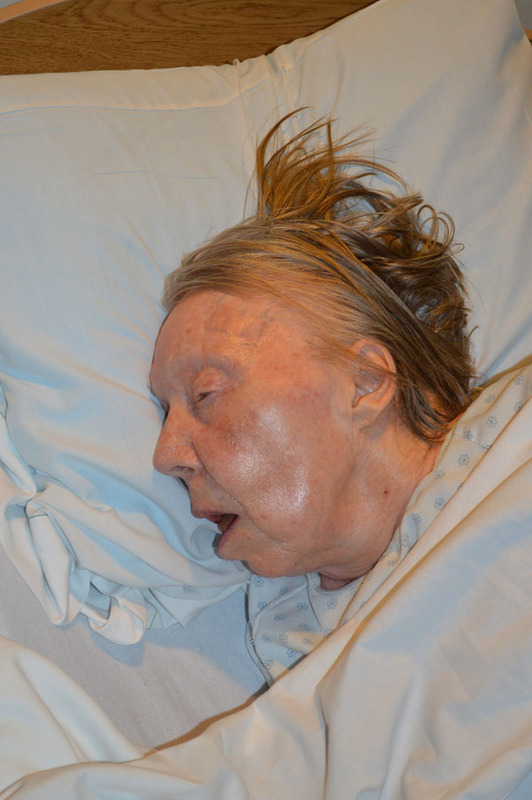 It was about a year ago that my mother crossed the invisible line to inexorably and actively dying. "Actively dying" logically seems a strange and self-contradictory phrase, until you see the process happening. The markers of the last phase were the inability to eat or drink, loss of the little waking time that remained, and occasional pauses in breathing. All awareness was past. It was simply a matter of vigil. If communication was lost, peace was at hand. The thread was thin, and so was the line to be crossed. The picture is the last one of her on this side of the divide. One of the first things for any structure is to have a roof. My shed has had only minor leakage with just plywood up there, but I'd like to have it make it through the coming winter keeping the contents dry. 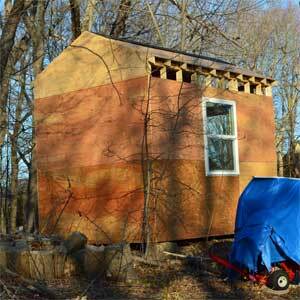 More or less as imagined, I am finishing it with cedar shingles, which will weather to an inconspicuous grey. I have decided against the "bleached" variety, which I learn are not actually bleached, but stained with white pigment. I'm using untreated shingles. It will probably take a year or two for the surface to weather grey. In the scheme of things, that's not long. Whew! Done with the roof. It looks nice, but I am glad to have it over. The human body was not designed to work on hills – and while I've learned to step from a ladder onto the edge of a pitched roof, I haven't learned to like it. On the bright side of things, it is done a day before I thought it would be. It is coming along, not quite as quickly as I'd imagined, but it's done to the point that I can begin to use it for storage. Immediately, I need to cut a few more pieces of plywood and to get some doors for it, lest wandering neighborhood youth decide it would be a good place to hang out. A bit later this summer I will finish the exterior, I am thinking with bleached cedar shingles, which will quickly weather to an unobtrusive grey. Late March weather is mild enough, at 41° with sunshine, for me to be back at work. The path I shoveled through the snow is just the thing. The névé – a new word that I like for packed snow – is not so deep that I couldn't wade through it, but carrying plywood through it wouldn't be practical. It feels wonderful to be working outdoors again. 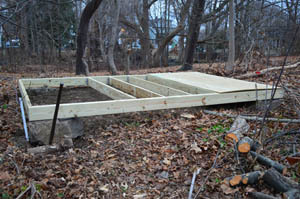 I had planned to get around to building a shed for garden equipment and tools in spring. The days after Christmas in a way seem funny for such an activitiy, but they happen to be unusually warm ones. As the saying goes, I decided to make hay while the sun shines. Creating some kind of foundation is a significant part of the work. I am using some leftover stones for the purpose. They weigh perhaps two or three hundred pounds apiece and are of irregular shapes, so setting them has been a bit of a project. To make things trickier, with the unexpected thaw and wet earth, the cart I used to move them frequently got bogged down in soft spots. A couple of times, it was about at the limit of my physical ability to get things going again. I was a tired and sorish puppy by the end of the day doing that. There's a platform in place now after the second day, so I have a good jump on the work. Framing four walls and a roof shouldn't take more than a couple more days, I expect. The weather is supposed to be getting cold again, so it may be a few months before I can pick it up again. 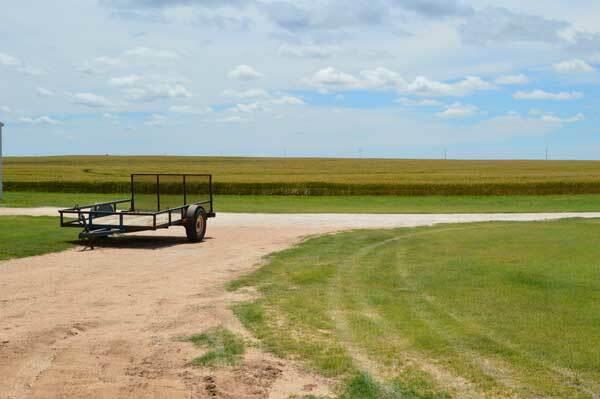 My fondest and most vivid childhood memories, and those of my cousins, are of my grandparents' farm in Kansas. Going back, of course, would be a matter of finding both the place and the time. The place was easy enough to find. I did not find the 1950s or the wood buidings that I knew or the old windmill, but I did find the same crops, about the same layout, and much of the same style of life. The beauty was vibrant. 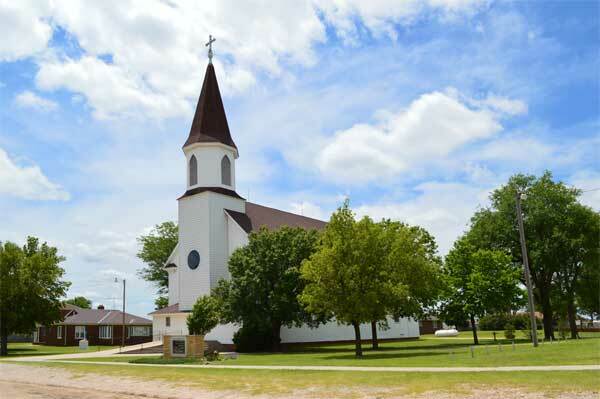 St. Leo, Kansas, was a planned Catholic Church community. The church building itself has remained much as it was, with the addition of an entryway and extra glazing over the stained glass windows. Those changes are minor. The steeple still towers over the area and is visible from afar. I talked for a while with the lady now living there; her husband was away at that moment. They are still keeping about the same livestock as my grandparents, less the chickens. 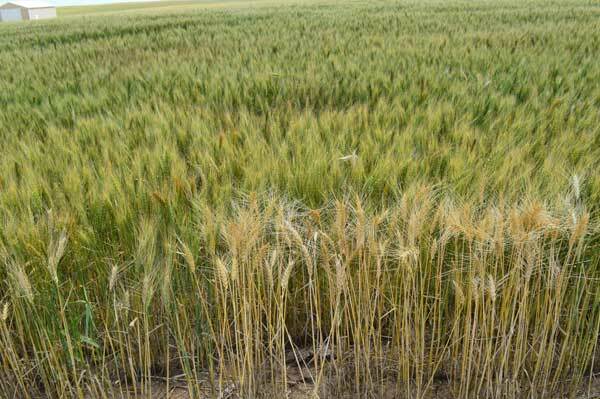 They grow wheat, corn, cotton and soybeans. Although the building structures are now prefabricated sheet metal rather than wood, the functions are much the same. They cooperate with three other farm families for a lot of activities. 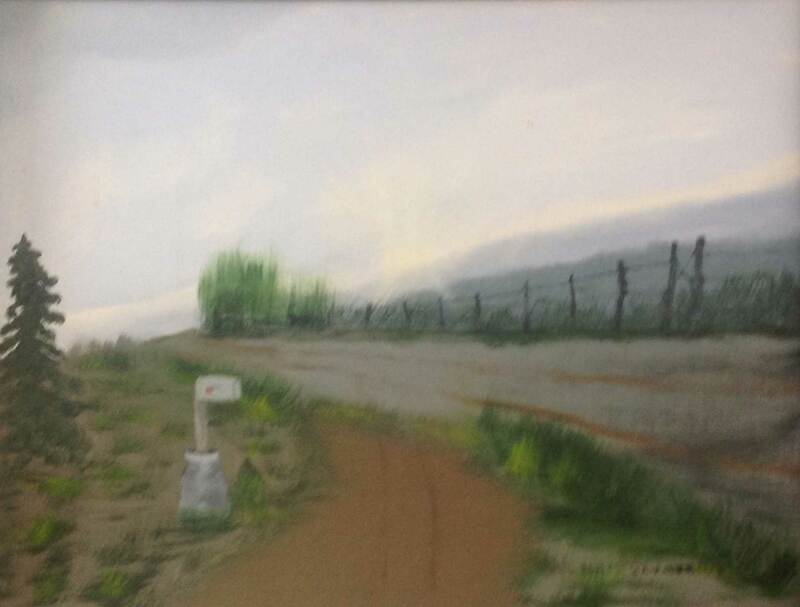 On my kitchen wall is an oil painting from 1973 by my grandmother, showing a view from the drive out to the road. The view is recognizably the same today. 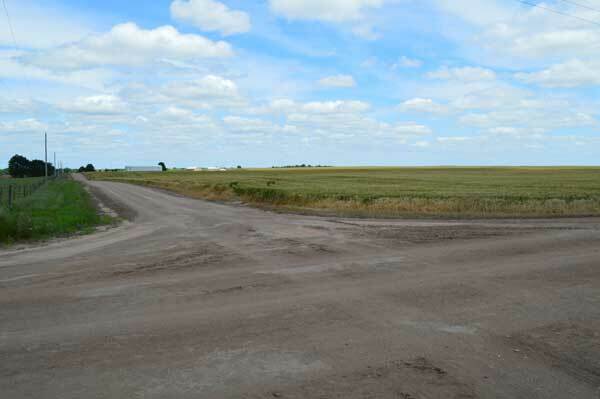 The driveway turns off to the left toward St. Leo, with the mailbox on the left corner. The road remains unpaved. And everywhere was wheat, of course. It was a beautiful sight in rolling fields from a distance, or in your hand, freshly plucked from the field. I grew very close to Janice – my aunt – during my mother's last years. We were the last two of Beverly's family and talked frequently during that time about what choices would be best for her. Janice is a sharp and caring person. As my mother remarked to me ten years ago, Clyde is a perfect gentleman. He does all kinds of things around the house and yard. 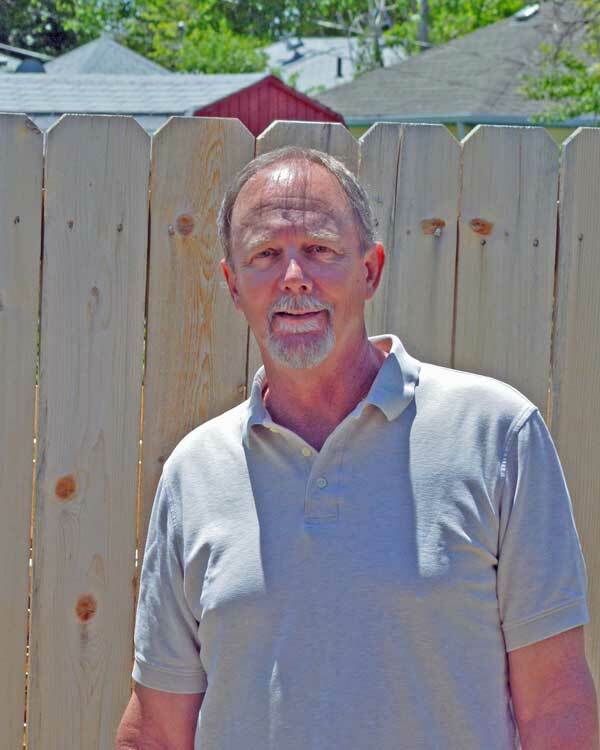 He is an accomplished and prolific woodworker, with furniture, carvings and inlay in every corner of the home. 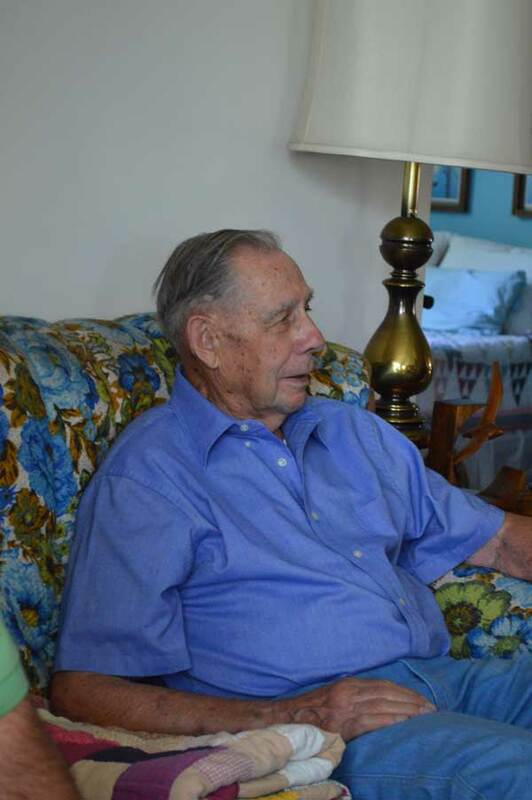 He has many interesting stories of his time in the Marines during World War II and the Korean War, and other times as well. 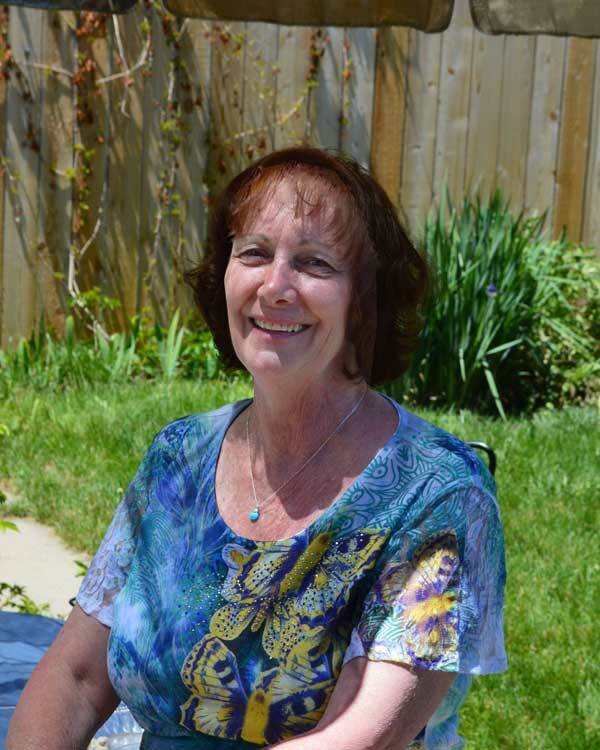 Connie is a very poised lady with a sense of how things fit together. She is very well traveled. She and Sally took me through the Denver Botanic Gardens, an impressive, mind-boggling spread of growing things, art and varied human constructs associated with plants and trees. Since much of our talk was about what was in front of us, I didn't have as much of an opportunity to hear about her travels and activities as I might have liked. Mark seems to be a very organized person, with an ease and comfort from a successful professional life. Before his retirement, he was very active in coordinating a program for union apprentices. When I saw him, he was about to head off to Indianapolis for a trade program and competition. His wife Laura is a gentle and kind person. Kerry is an active horseback rider and has been ever since she was so high, I gather. She also likes many other outdoor things and activities. She is also an artist in her spare time and has shared some of her work with me. She is a very alert and aware person. She followed the sunset of my mother's days from halfway across the country, sending understanding and empathic messages. A number of times once we had the chance to talk in person, I sensed that she could tell from a few words of a sentence I started where it was going to go. 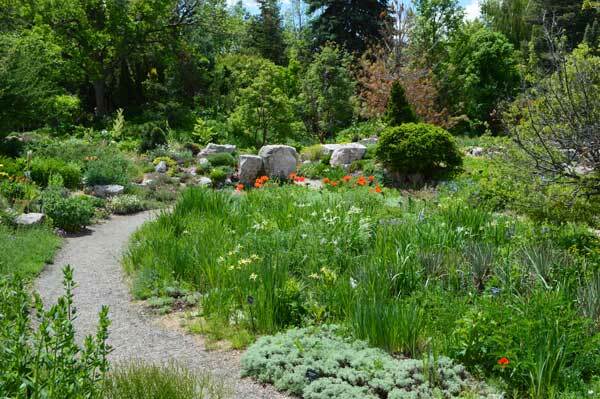 The Denver Botanic Gardens are a very large oasis, unusually close to the city for such things. There is enough area and variety to boggle the mind, all meticulously kept. 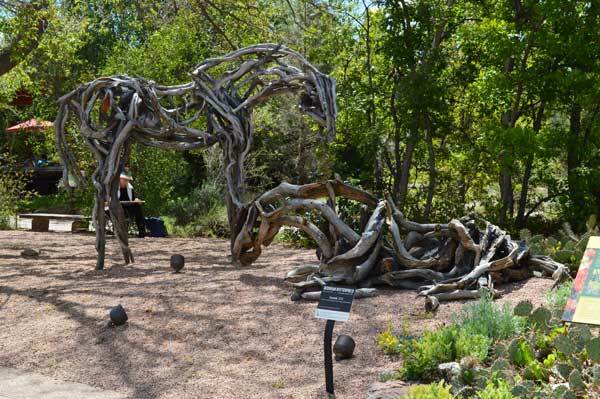 There was a special exhibit of driftwood horses by Deborah Butterfield. These were very well done as representations of horses by someone who obviously knew their anatomy and shapes extremely well. More, each one was different in its construction. One was made of long, slender pieces of wood. Another was made of short, stubby pieces with frequent bends and curves, in a very different posture. One ended up impressed not simply that it was possible to make a horse out of strange pieces of driftwood, but that the artist had created a very alive herd in a way that had would not occured to the viewer. There is a good article on the exhibit in the Denver Post. A Japanese garden section had characteristic plantings and structures and surfaces, including raked and manicured sand. 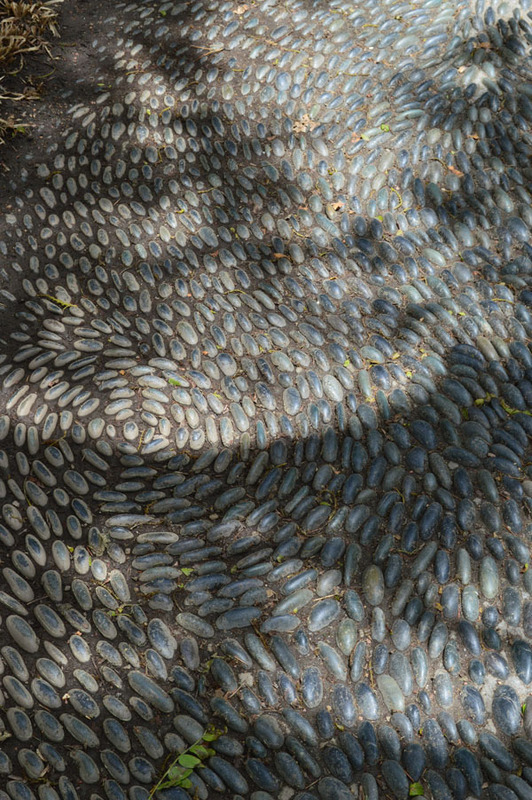 I was particularly intrigued by paving of round dark stones, all about an inch and a half in length. They were laid in patterns of organic curves and swirls. By coincidence, I ended up staying in Aurora across from the old Fitzsimons Army Hospital, where my grandmother and father both worked. 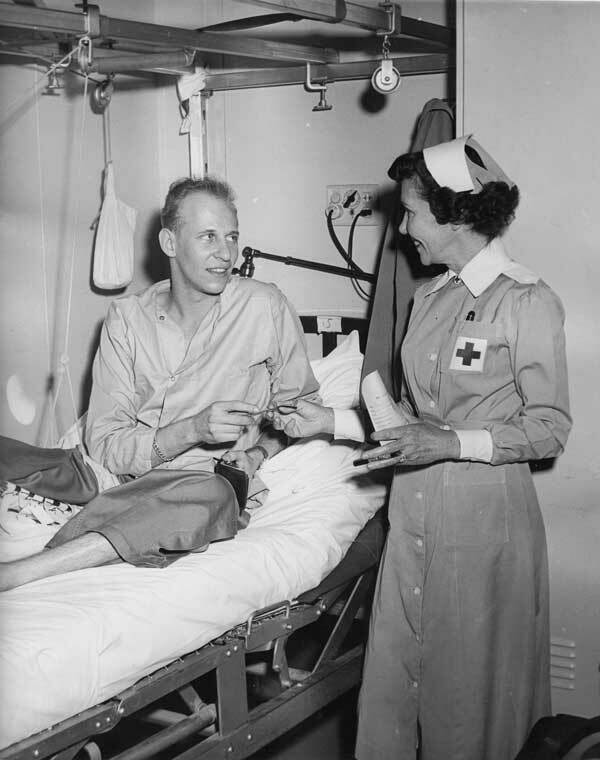 My grandmother Esther was a Red Cross Gray Lady there for twenty-five years, my Aunt Betty advises. I have a few undated photographs of her in that role. On January 27,  I got a job at Fitzsimons, in the Receiving Office. I worked there only a short time until I was transferred to a ward clerkship on a "temporary" ward called Upper West… My salary at Fitzsimons was $1,260 per year, which seemed like a lot. I started paying room and board at home. At Fitzsimons, I made out various routine ward reports, ordered supplies, and the other usual things that a ward clerk does. Every morning, I walked over to the pharmacy to pick up the drugs the ward surgeon had ordered. There were one or two other routine stops along the way. This break in the office day was always enjoyable. At about this time, I bought my first car, a 1937 Nash, on the installment plan. Fitzsimons was in Aurora, east of Denver, about a ten-minute drive each way. Looking back, I have often regretted that I did not use my year at Fitzsimons to learn more about medicine – and, incidentally, about the Army, in which I was destined to spend some time. Now dwarfed by the new Children's Hospital and University of Colorado Medical Center, Fitzsimons was at the time it was built (1941) the largest building in Colorado. 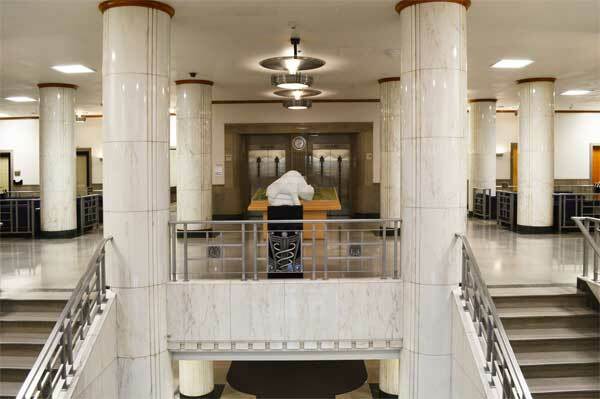 It was designed in the Art Deco style, popular at the time. The medical campus is a mile square, a beautiful and utterly amazing expanse for one used to the density of comparable areas in Boston. I made extended and delightful walks in the Fitzsimons area each morning I was in Denver. The Texas panhandle is mostly rather flat, with very gently rolling hills at the most. 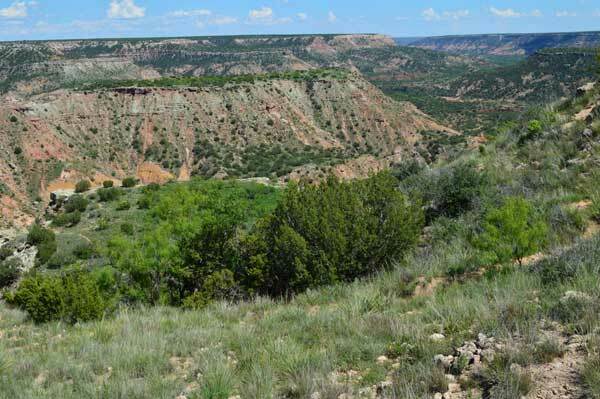 Palo Duro Canyon appears rather abruptly amid that flatness. I was not aware of it before, though it is the second largest canyon in the country. John and Jan Billings suggested I stop by on my way to Denver, which was a very good suggestion. There is much worth looking at. The stone it runs through is soft but sturdy enough to hold its shape, which is why it works so well to hold its canyon shape. I am putting it on my list to read up about the geology of the area and learn how this phenomonen came to be, apparently in the middle of nowhere. The first significant stop on my cross-country trip was a visit to John and Jan Billings in Athens, Texas. I met them a few years ago in Philadelphia, and somehow the relationship just clicked and has stuck. They are simply very good people. Both Jan and John were extremely hospitable, sharing their lives, cooking feasts, and taking me around to tour their area. I was delighted to have the time to share some of John's art and teaching. 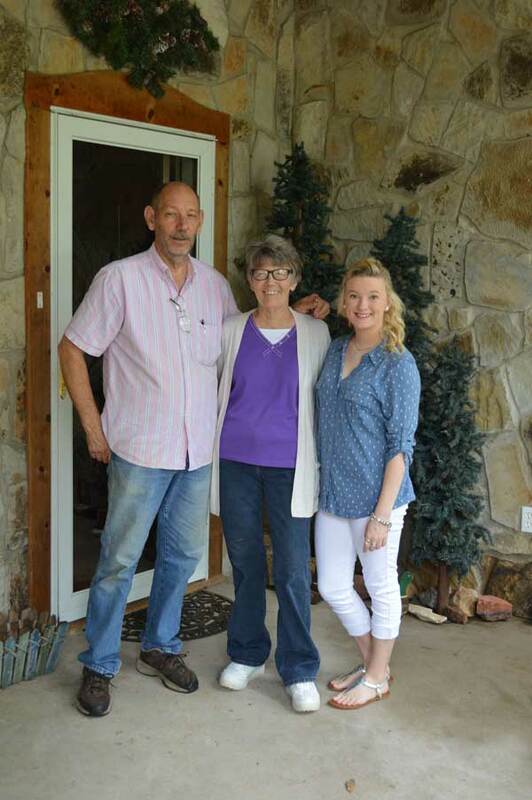 Their granddaughter Peyton is a straight-A student and has her act altogether in an admirable way. There were very heavy storms not far away in Texas at that time. I saw some of the swollen rivers and lakes but was lucky enough not to be delayed or affected in my travel at all. Here is my new car, which is utterly amazing. 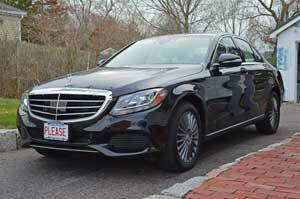 It comes close to driving itself down the highway, even in rush-hour traffic. In town, it is made to detect a pedestrian or cross-traffic in front and stop itself if I don't. Of course, one isn't anxious to put such things to the test of reality. There are videos of simulations, where indeed it works just as advertised. When you think about it, much of this is not very hard. Inexpensive motion detectors and distance meters have already become part of our daily lives. 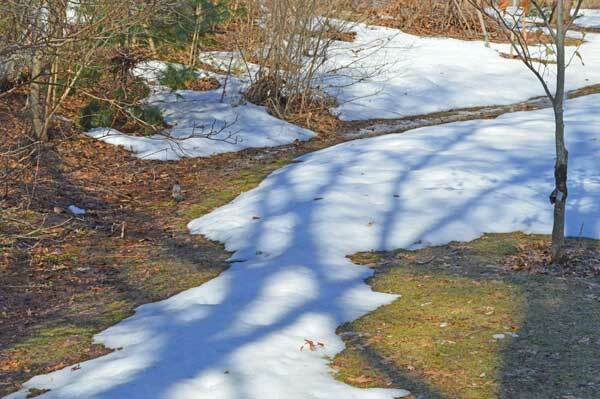 The last of the snow in my yard melted on April 14. There are still big piles around in the "snow farms" that I pass by, but even those are sinking. From a little distance, the snow of February seems much less important. It was a few weeks' inconvenience – nothing worse than that for me – and it's all gone away. 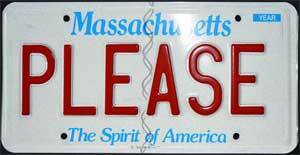 I have vanity plates, destined for the new car, which is expected next week. The message is partly a play on my street name, partly just a nice expression. So far, it has made people smile and ask what made me pick it. If it continues to do that, it will clearly have been worth doing. My vernal stream has a bit of a presence this year, but not a dramatic one. All that snow represented an amount of water only a bit above average, and it insulated the ground very effectively from the bitter cold air, keeping it from freezing deep. The ground is damp, but still draining. Our weather has remained cool, so the melt is happening slowly. I am beginning to understand what leads to flow in the stream, and what doesn't. Of course, a large amount of rain in a short time (as last year) makes for a big show. Frozen ground also has a big effect. Of course, if it's dry and on the warm side through the winter, not much of anything happens. 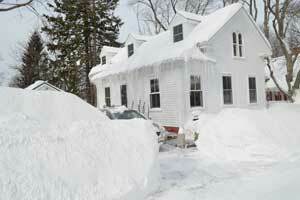 Eight feet of snow in a three week period, along with the second coldest February on record, have had their effects. Fortunately, I did not lose electricity or heat at any time during the period. The commuter rail trains that I took ran if anything more reliably than typically during the dead of winter. Others were not so lucky, but on the whole people coped quite well, with only sporadic complaining. The snow did take very sizeable portions of time between the hours spent moving it and the slowdown in many routine activities. It also moved daily life indoors to an unusual extent. There I've been working on painting a couple of landscape pictures, which I'll post here in a couple of weeks. I've also been working on housepainting of a couple of rooms, with minor finish carpentry in the process. Again, I'll post pictures in a couple of weeks. Looking forward, I expect a busy spring, the more so because a lot of routine chores will not be able to start until late. 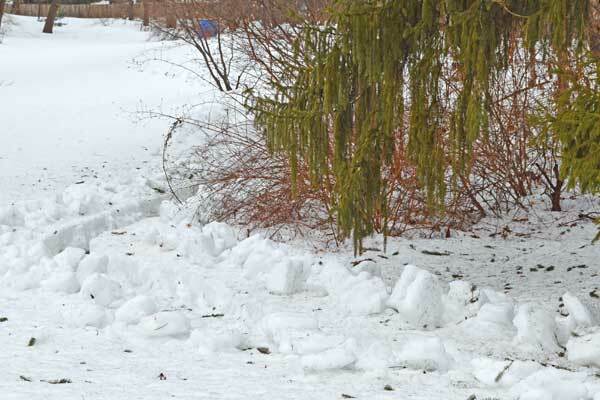 The Boston Globe suggested that it would take until mid-April for the snow to melt. 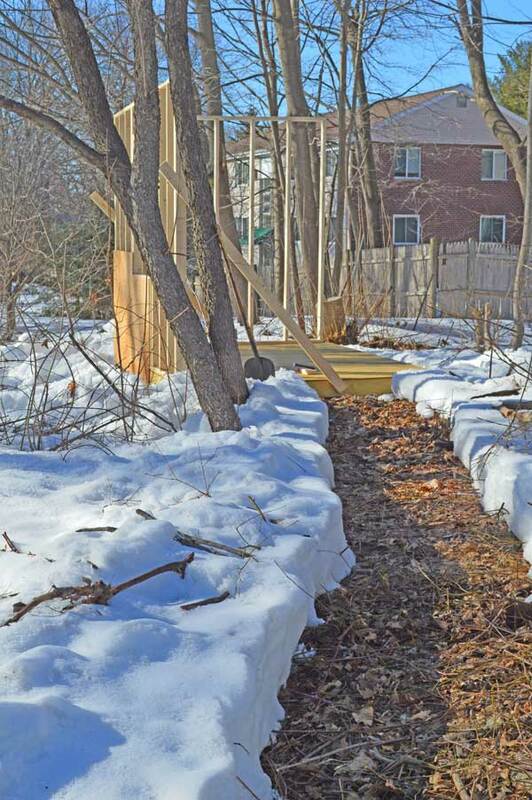 I've made a start this weekend by shoveling a path (shown above) to the location of my planned shed, where I will move equipment now stored in my garage, once it's done. Then I will be able to keep the new car in the garage. If I can get the shed done in early April, the schedule for other things should work out reasonably well. The fourth big storm brought 22 inches to Ipswich, bringing the total for this area to some 8 feet within less than a month. It is the highest recorded amount for that period of time, and the month by itself brings Boston to the third highest snow totals ever for the entire winter. Wind chill factors of -23° F are forecast for tonight in the wake of the storm. The third storm in three weeks has brought us to a total of six feet of snow, breaking all records for amount of snow in a short period, and putting us within sight of the record amount for an entire winter. The MBTA public transit system is again shut down for an entire day, something that never happens. People coped quite well, but tempers of even the patient are beginning to fray. We are now looking at what may be a record week of cold, with temperatures from below 0° at night to a high of 20° during the day. The week after that, if one set of long-term forecasts are correct, the thermometer will go up to 39°. If you look at another set of forecasts, there are two systems within the coming week that have the potential to become major snowstorms for our area. I have never seen a worse winter spell. Still, I have been very fortunate, with no major inconvenience, not even a momentary loss of electricity. A second storm followed "The Blizzard of 2015," setting a record for the amount of snow within a week in Boston. Figures for Ipswich ranged from 14 to 20 inches for the second one, with even the higher one seeming light for the area where I was. The bottom line is that we had about 48 inches of snow in a week. I have never seen so much snow. It was comical trying to cope with it. Luckily, I didn't have even a momentary loss of electricity. 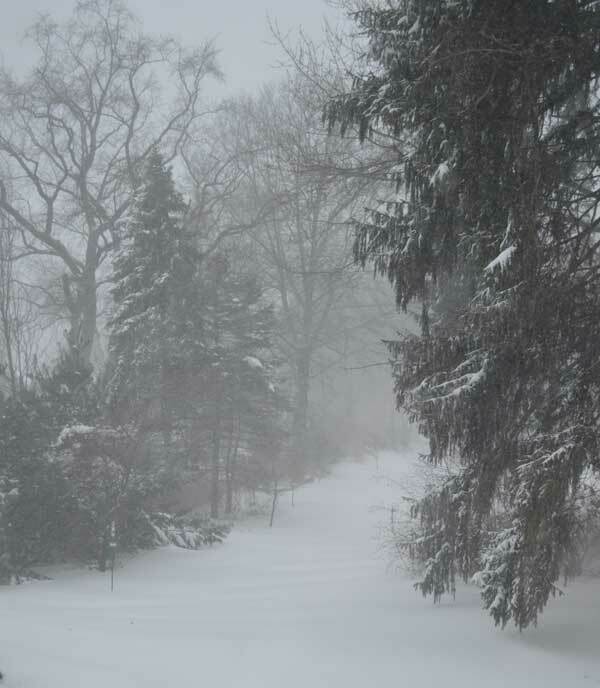 Ipswich had 28" of snow over about 30 hours, with winds gusting in all directions. Things went well for me, with no damage or loss of electrical power. Clearing all the snow was a bit of a project. As it happens, I bought a snowblower for this winter, which has come in handy. It doesn't do everything, but it is good for the big parts of the work. I am a strong advocate of the cause of self-driving cars. Today, I bought one that comes as close to that ideal as can be found on the market today. It will take until perhaps April for the car to be built for me, so I don't have it yet. The car won't take me to the grocery store on its own, but it will do all kinds of good and useful things. It will sense a pedestrian moving out in front of the car and, if I'm not aware, will take matters into its own hands and stop the car. It will sense if I am departing from my lane and alert me, again taking matters into its own hands if necessary. 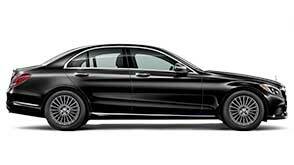 It will follow a set distance behind the car in front of me, slowing and accelerating as appropriate. It will keep its eyes on the distances to other cars on either side. All of this entirely makes sense to me, not just for my driving, but as standards for what automobiles should universally do in this day and age. 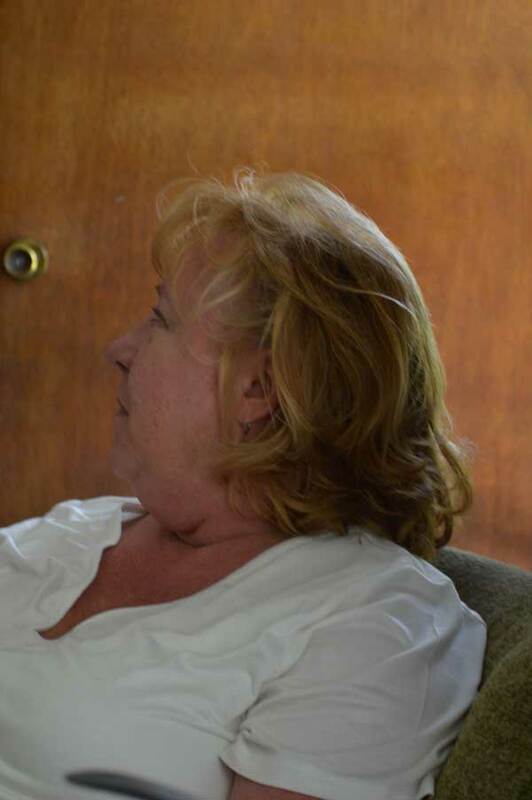 My mother stopped breathing at 3:58 p.m. six months ago. Her sister called me last night to see how I was doing with the blizzard. She then asked me how it was going with getting past my mother’s death. I replied, wholeheartedly and entirely truthfully, that I was doing very well; the bereavement came five years ago. As she commented, the events took over my life for five years. 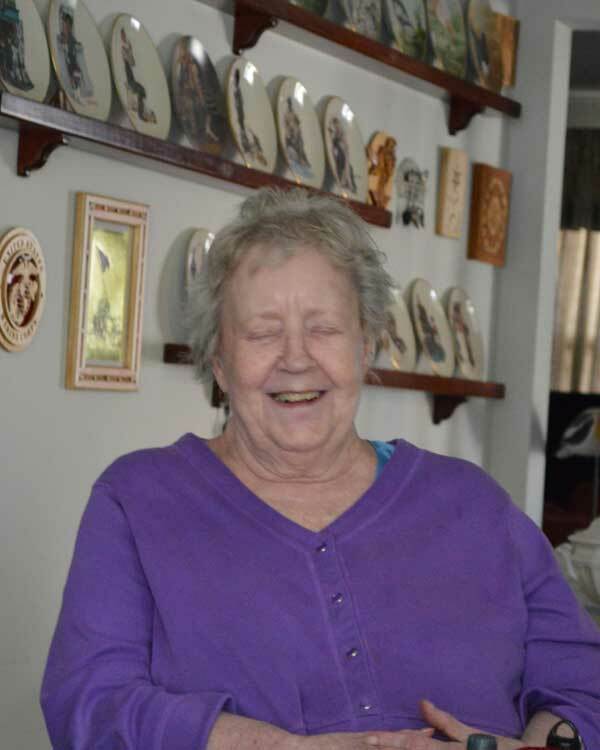 Mom, I hope and trust that you are happier in heaven than during those long years of mental and physical paralysis. This is a view of a local cultural icon, the road to Crane Beach & Reservation. It is a familiar sight to most people from Ipswich and surrounding areas. The tide is high in this view, and the weather very windy. At low tide, the water would be little more of a presence than a few streams here and there, flowing through the reeds and grass. The experiment with oil painting seems to be sticking as part of my life, at least for a period. It seems to fit, in a couple of ways. I am planning on reworking the "Portraits" page of this Web site to be part of a new "Oil painting" page. There is other housekeeping in order too, but nothing is dreadfully out of date. Il est impossible de ranger les pièces, à qui n'a une forme du total en sa tête. A quoi faire la provision des couleurs, à qui ne sait ce qu'il a à peindre? For someone who has no idea of the whole in his head, it is impossible to arrange the parts. What good is it to deliver a supply of pigments to someone who does not know what he is to paint? I have found in playing the piano that my progress in learning a new piece follows closely my ability to hear – to produce – it in my mind. This is curious, since I'm not good enough at reading music to know what it really sounds like until I have played it enough to learn that. Many years ago, I read an essay that described the essential characteristic of the writer as having a very strong inner feeling, I have something to tell you. Some years after that, I read a biography of Susan Sontag, arguably one of the outstanding writers of our time. 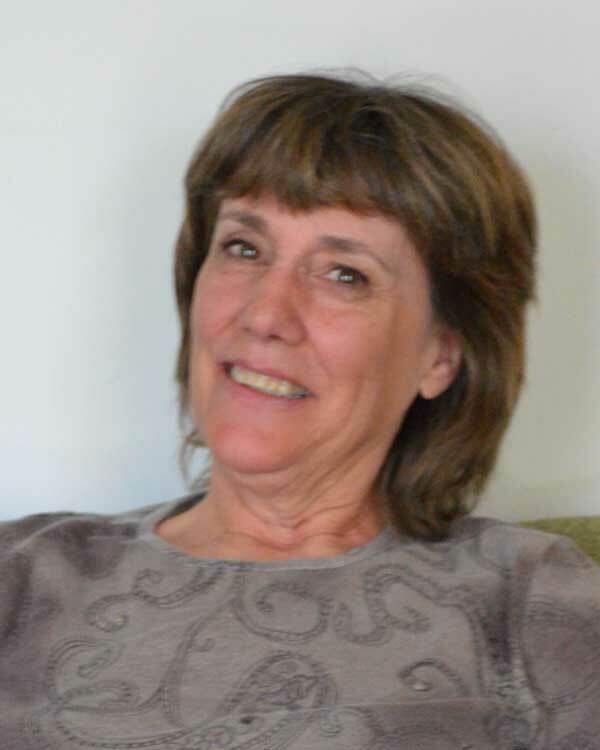 She started out with a precocious and very strong sense that she wanted to be a writer. She had no particular idea of how to go about it or what she wanted to say, but she prospered. Perhaps writing is not like music is not like visual art, and the what works for a single piece is different from what it takes for a lifetime career. Still, I mainly side with Montaigne. I can't play a piece of music or produce a piece of art without a fair idea beforehand of what it will be. There are moments of luck, but I doubt these are of importance beyond what I learn from them.